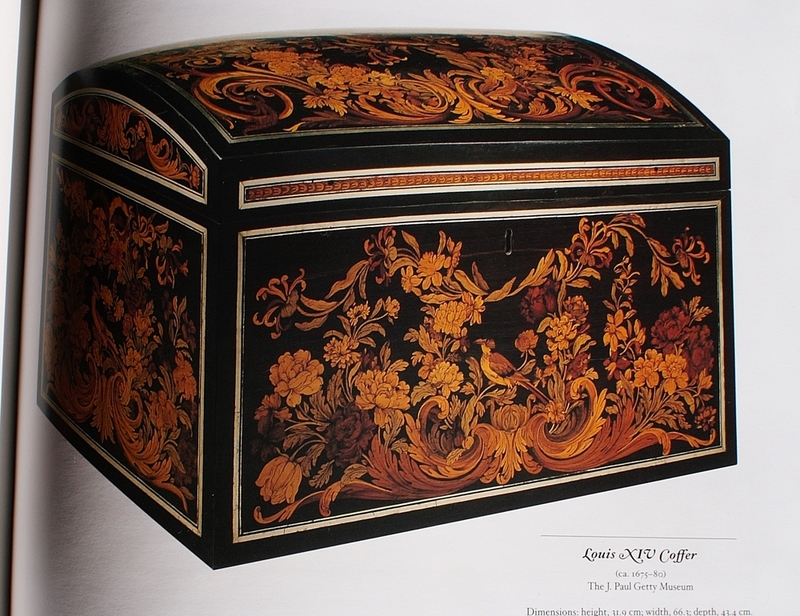 I've been practicing drawing marquetry panels lately. This one is a side panel from the Louis XIV Coffer on display at the Getty Museum - a piece I hope to make within the next two years. I read that it's important to draw the piece so you can begin to familiarize yourself with it. At this point shading would take place, but I'm not quite there yet. 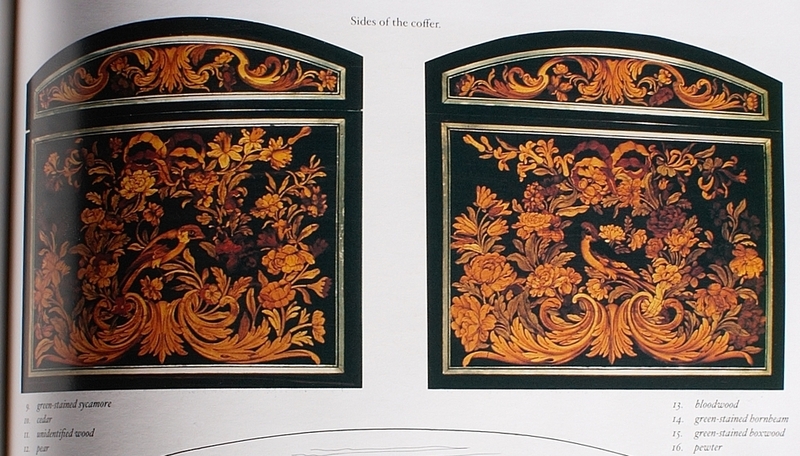 The flowing acanthus leaves and beautiful flowers often with birds perched in the midst typical of Louis XIV marquetry are my favorite motifs.